Books for readers who love magic! For antique shop owners Caitlin and Trevor Fulmer, the intrusion of gods and ghosts is an unfortunate daily occurrence. 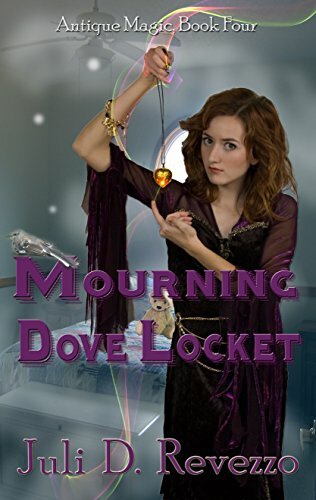 After a young girl offers Caitlin a gold locket, however, she can’t help but notice it’s oozing with paranormal energy. More significantly, the locket’s owner is surrounded by Otherworld spirits. Caitlin recognizes in the girl all the signs of a budding witch in the midst of a dangerous crisis. Can she and her covenmates protect the girl and assist her in embracing her powers, before those beyond the veil extract their revenge?